When summer finally hits, there is little we want more than to head outside at the end of a long workday. The ability to cook, eat, and enjoy the balmy nights is rejuvenating in more ways than one. There's just one thing that puts a damper on summer evenings as soon as the sunset hits: the lack of proper outdoor lighting. We spend so much time planning every inch of décor and lighting inside our homes, why is it that we revert back to the bare minimum in our backyards? 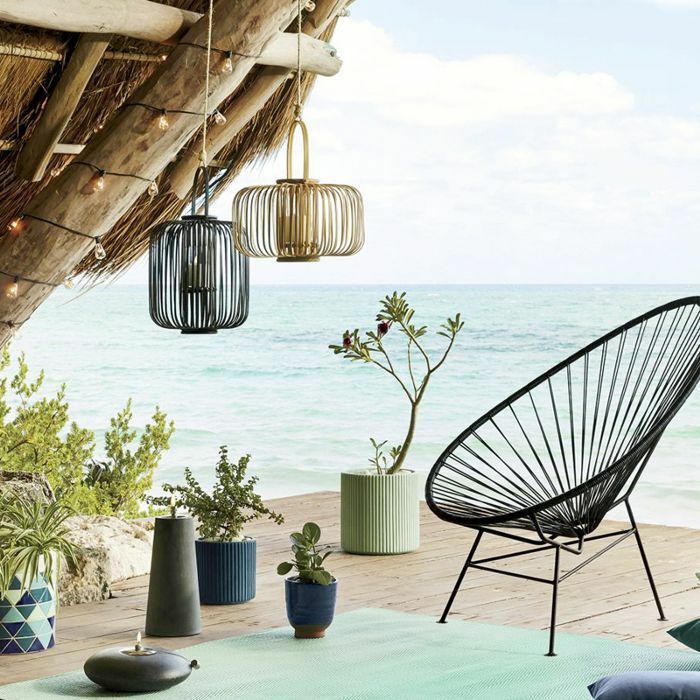 To brighten up your summer nights once and for all, we handpicked our favorite outdoor lighting ideas. 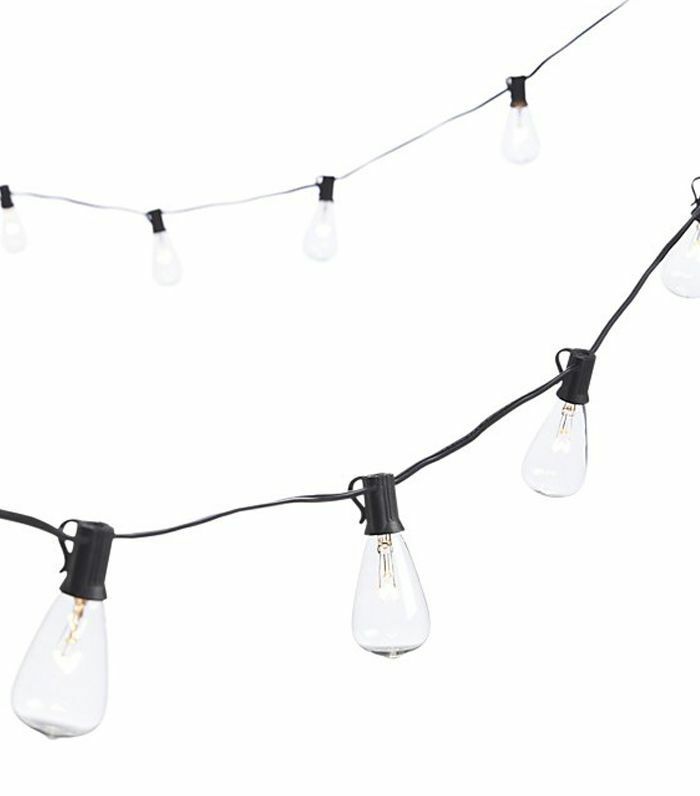 Spoiler alert: They go beyond string lights (even though we still are fierce advocates for the fairy lights that make every outdoor space feel magical). Best of all, you don't even need an electrician for many of them, which makes these options easy to install and rental-friendly. Ready to take your weekday dinners outside? Just add these outdoor lighting ideas to your backyard or balcony and enjoy. String lights are the foundation of any great outdoor space. String a set over an outdoor dining area, light up a pergola, or wrap them around a tree. Your backyard will be glowing. Waterproof, shockproof, and cordless, these portable LED lamps are the most versatile for the backyard. Throw them in the pool, light a path, or move them around as needed. They light up in 36 colors. 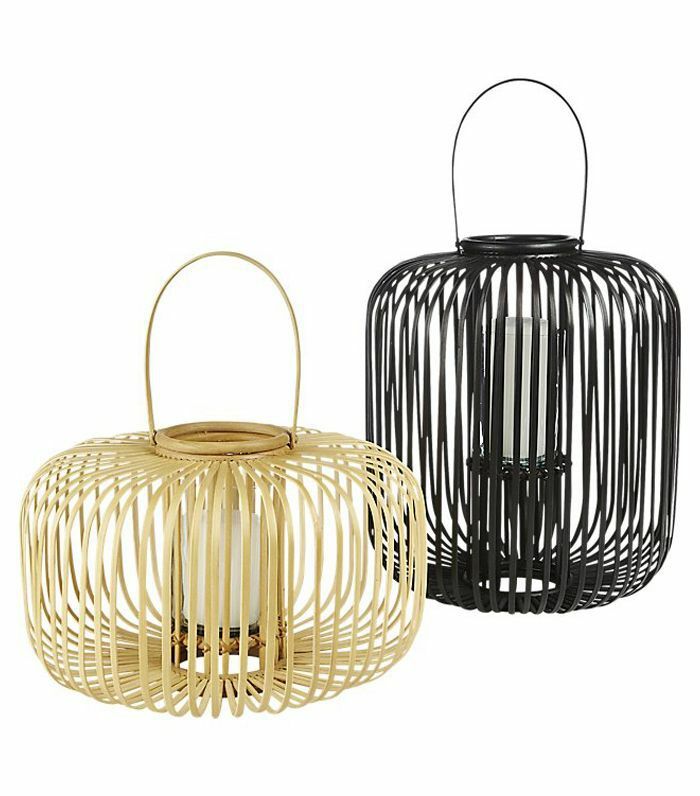 If you are renting or aren't ready to install electrical outdoors, lanterns are a fantastic quick and affordable way to add a warm glow to your summer evenings. The more the merrier. 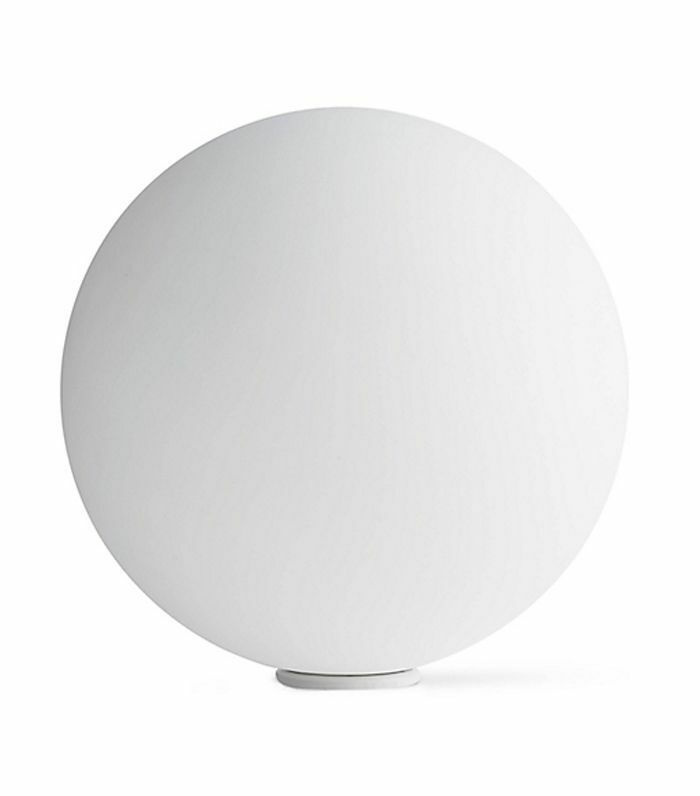 Stylish outdoor lamps are few and far between, but if you want to add a cozy outdoor living room feel to a roofed area, this weather-resistant lamp makes a great addition to a covered porch or patio. 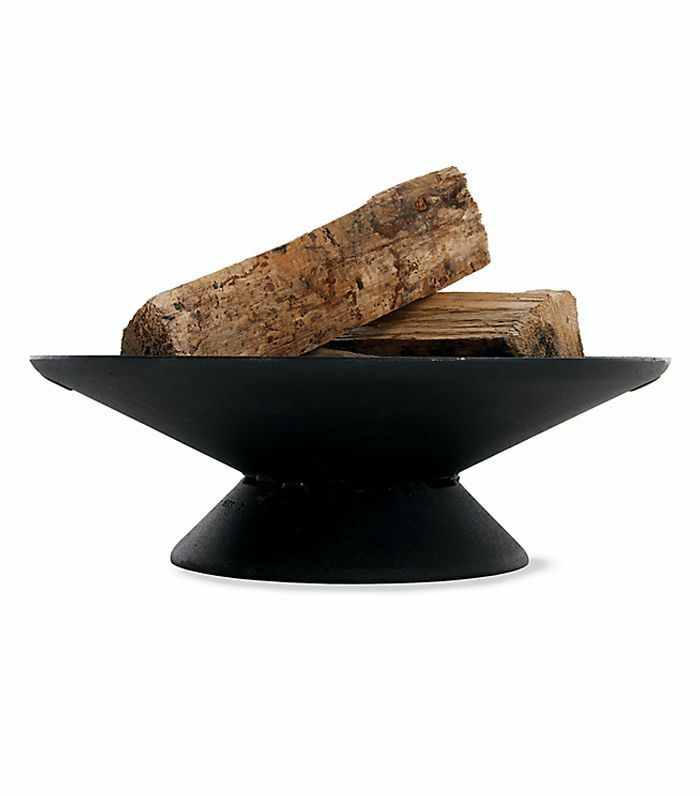 Oil lamps might be a thing of the past indoors, but outside, they can be a beautiful addition to a dining table or lounge area. Their nautical feel lends them well to outdoor spaces that are near bodies of water. 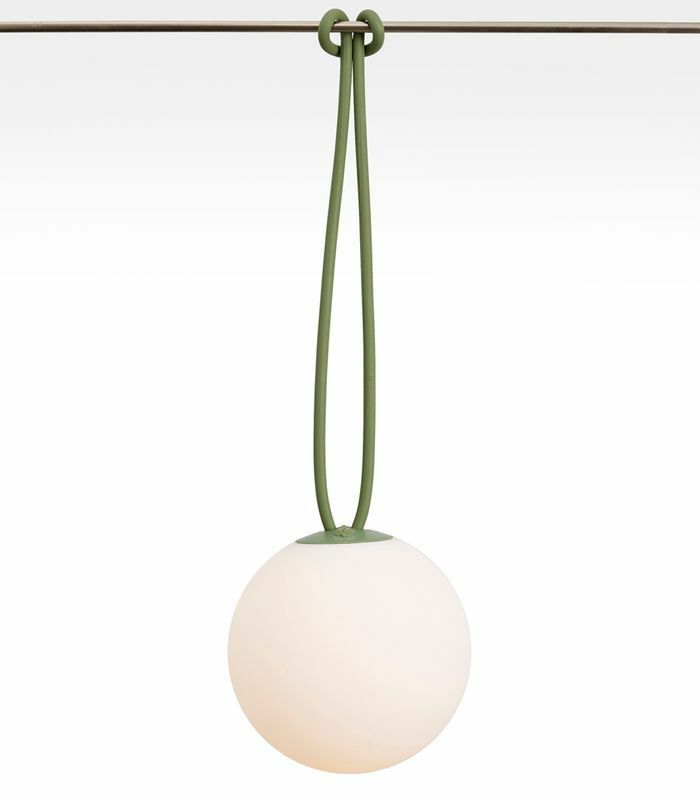 Add this pendant light under a covered porch or patio to make it feel cozier and more like a true living room. 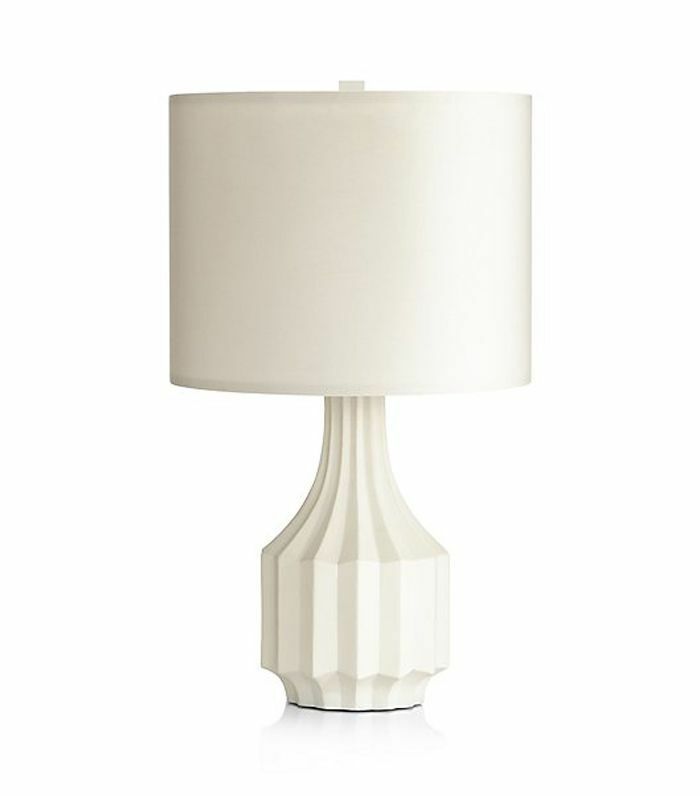 This lighting fixture lends itself to a dining area or lounge area. It even works instead of sconces by the front door. Outdoor lighting doesn't have to mean electrical, and one of the best ways to add both heat and light in your backyard on summer nights is a fire pit. Bonus: You get to roast (and eat) s'mores. Outdoor sconces are typically found flanking the front door, but they have a variety of other uses, like bringing light to an outdoor living room. 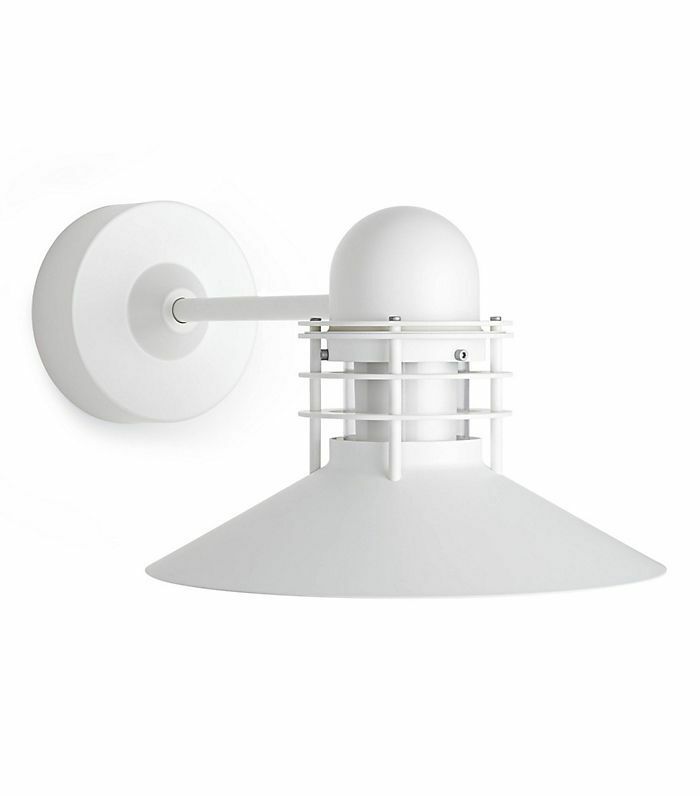 This classic design from Louis Poulsen is a favorite. 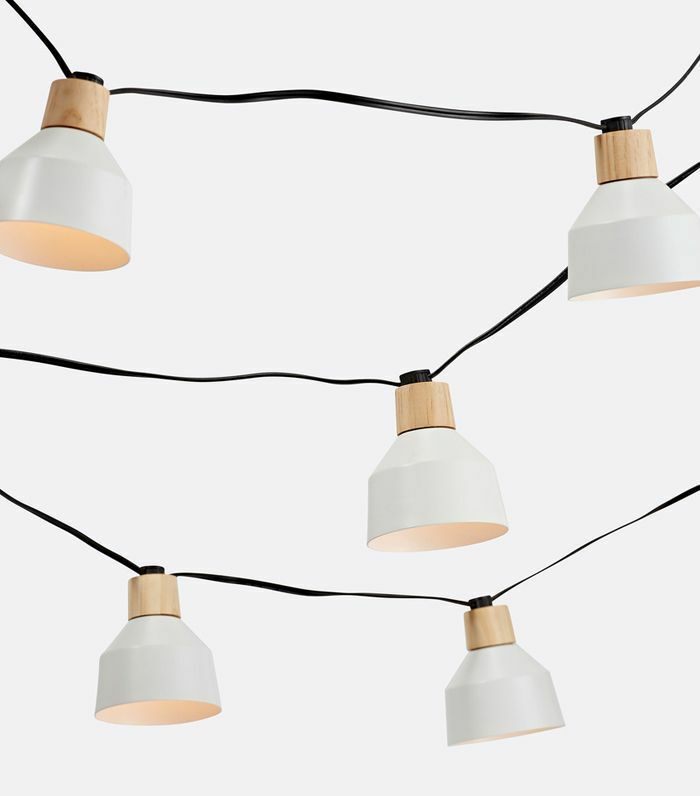 More than just classic string lights, this small upgrade will look extra chic over your outdoor dining area. 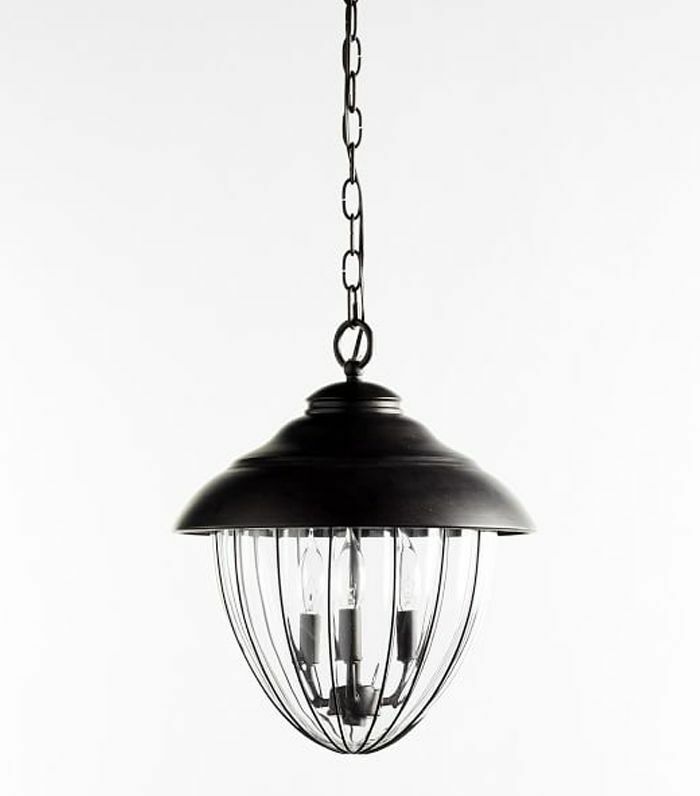 Add the look of an outdoor pendant light to your space without calling an electrician. 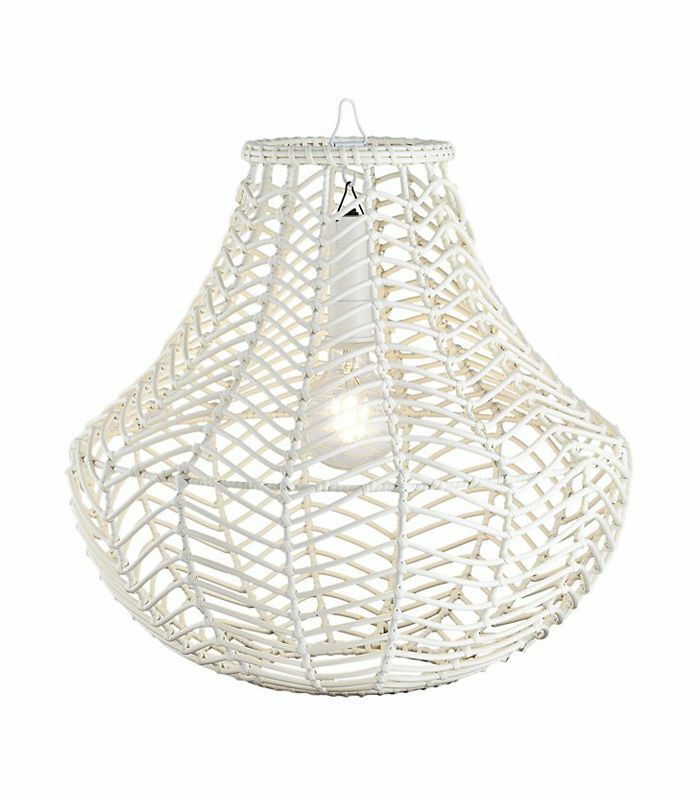 This rattan pendant by CB2 is battery powered and doesn't require a cord. Just find a hook to hang it up and voilà. 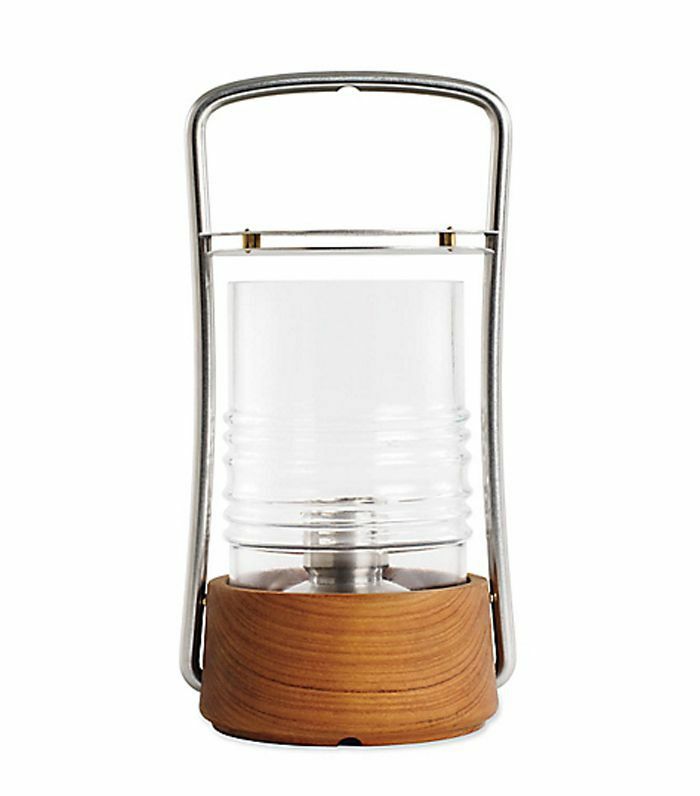 These cordless lanterns are genius when you want to add some flair to your outdoor area for a party. Hang them to trees, ceiling beams, even a clothing line. Next up: Tour a lifestyle blogger's gorgeous outdoor terrace renovation.